Josh Parnell joined First Western in 2007 and became a Principal Owner and Vice President in 2014. 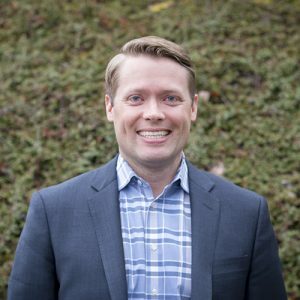 Josh’s expertise is in regional and neighborhood retail shopping centers for both landlords and tenants throughout the Northwest. In 2017, he became licensed in Oregon and is the Principal Broker for the Portland office. At First Western, Josh has prided himself in being relationally driven with a long term focus on his client’s goals. Josh has been married to his wife Debbie since 2007 and they have two children, Gemma & Duke. Their family loves to ski and be outdoors. He played football at Pacific Lutheran University for legendary coach, Frosty Westering under his “Make the Big Time Where You Are” philosophy.